A psychrometer measures wet and dry bulb temperatures of air in order to determine the relative humidity or vapor pressure. I started working with psychrometers in Sterling Taylor’s lab when I was a sophomore at Utah State University in 1960. A psychrometer measures wet and dry bulb temperatures of air in order to determine the relative humidity or vapor pressure. In a conventional psychrometer, a thermometer bulb is covered with a wet wick and measured to find the wet bulb temperature. A thermocouple psychrometer is used to measure the wet bulb temperature of air equilibrated with soil or plant samples. 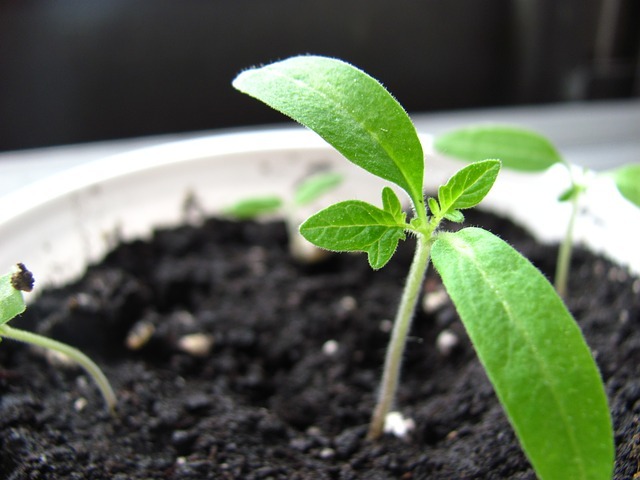 When a plant is at permanent wilting point, its relative humidity is close to 99%, so the whole range of interest for soil and plant measurements is between 99 and 100% RH. The measurements need to be very precise. To make a wet bulb we couldn’t use a wick. We made thermocouples from 0.001” chromel and constantan wires. We cooled the measuring junction of the wires by running a current through it (cooling using the Peltier effect), condensed dew on the wires through the cooling, and then read the wet bulb temperature by measuring the thermocouple output as the water evaporated. We needed to measure temperature with a precision of about 0.001 C.
The original psychrometers we used in Dr. Taylor’s lab were single junctions mounted in rubber stoppers and placed in test tubes in a constant temperature bath. They were calibrated with salt solutions. Typically, before we could finish a calibration, we would break the thermocouple, so we never got data on soils. I found that frustrating, so had the idea of putting the thermocouple in a sample changer which would hold 6 samples. The sample changer went in the constant temperature bath. When it was equilibrated, we could make 6 readings without taking it out or opening it up. Calibration was done in one try, and we could start running soil or plant samples right away. This was a huge improvement. Our lab was one of a very few who could even make those measurements, and we could make them six at a time. That was about 1964. Later, when I was a graduate student at WSU, I started building soil psychrometers for my own research. Other researchers wanted them, so I taught Marv Sherman, a vet student friend to do the manufacturing, and we sold the psychrometers to whoever wanted them for the cost of his time plus materials. There was a sizable and growing demand when he and I graduated, and no one to carry on. My brother Eric came for my graduation. We asked him if he would like to take over the psychrometer business, and he said yes. We sent him home with some instructions and the materials we had left from Marv’s work. Eric built the business himself and then sold it to Wescor, where he and my brother, Evan became employees. I contributed ideas and helped Wescor grow for a few years, but Eric and Evan were not satisfied there and wanted to start a business of their own. We came up with the idea of them building a laser anemometer, and that was the start of Campbell Scientific. When we were on sabbatical in England in 1977-78 I had access to a small machine shop and a machinist who was willing to make things for me. The sample changer psychrometers up to this time all had to be used in carefully controlled constant temperature water baths. However, the soil psychrometers that my brother, Eric, sold at Wescor worked fine with no temperature control. I suspected it would be possible to make a sample changer that didn’t need a constant temperature bath. I made some sketches and the machinist made it for me. It had places for 10 samples, had a large aluminum block to hold the rotor with the samples and the thermocouple, and stood on 3 legs. It worked fine without any temperature control. I showed the new sample changer to my brothers at Campbell Scientific, and they set up and machined a couple of them. CSI didn’t have much interest in selling psychrometers, though, so Decagon began as a way for my children to earn money for college by selling the thermocouple psychrometer sample changer. The name Decagon came both from the 10 people in our family when we started and the 10 samples in the sample changer. 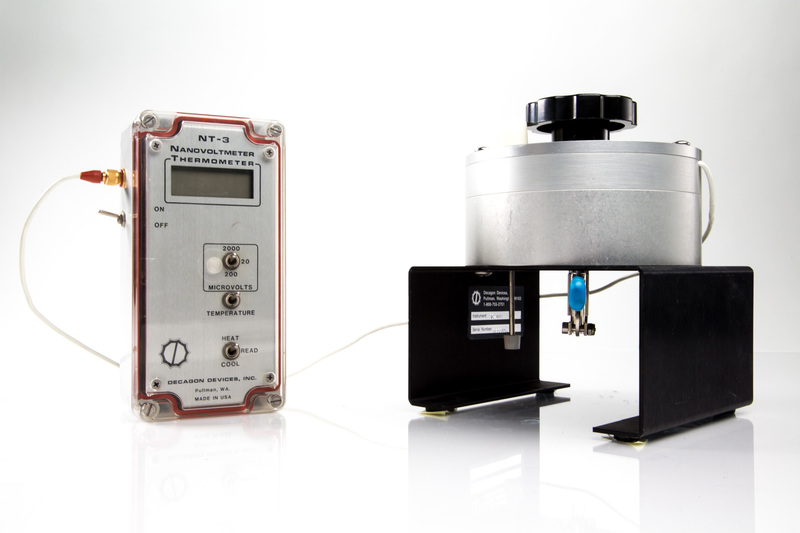 Decagon (now METER) began selling the thermocouple psychrometer system in 1982 and updated the user-intensive calibration and measurement system to a much simpler one in the mid-1990s. 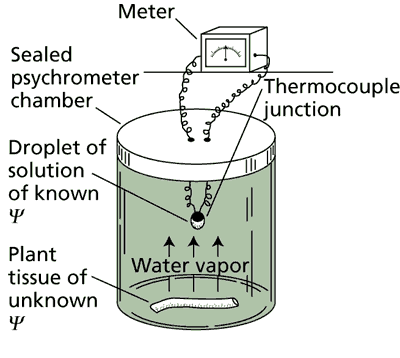 Automation, speed, simplicity, and accuracy soon tipped the scales in favor of a dewpoint technique for measuring water potential, and the system was retired and replaced by a chilled mirror hygrometer (WP4C) in 2000. However, Dr. Campbell believes that thermocouple psychrometers may still have a role to play in measuring water potential. If you’re interested in water potential, check out our water potential pages. It puts many of our best water potential resources in one place and contains sections on theory, measurement methods, and history.